With less than two weeks until the World Economic Forum meets in Davos, Switzerland, a gulf has emerged that could signal a coup for United States President Donald Trump. For nearly half a century, global leaders have met at the Swiss resort to map out policy. This year, International Monetary Fund boss Christine Lagarde and her colleagues from the World Bank will defend their halt of funding for oil and gas, along with an existing ban on coal, but Africa and Asia show no sign of backing away from fossil fuels. The White House announced on Wednesday (10/01) that Trump would attend the summit, the first US president to do so while in office. He will be accompanied by Energy Secretary Rick Perry to promote the theme, "America first does not mean America alone." Perry has led the Trump campaign for a clean-coal alliance. Indonesia is the world's fifth-largest coal miner and will host an evening reception at Davos. India, one of Washington's closest allies, has spoken in favor of Trump's pact of nations that will continue to use coal to generate electricity, but with the latest clean technology that reduces emissions to levels set out in the Paris accord on climate change. Between them, Asia and Africa have more than a billion people still living off the grid. At a United Nations climate meeting in Germany in November, David Banks – Trump's senior energy advisor – said the United States would "embrace like-minded countries to make America the partner of choice for clean fossil fuel." Banks unveiled plans for a clean-coal group covering all six continents with members including China, Indonesia, Japan, India and Nigeria. Rick Perry echoed the call, saying unemployment that stems from absent or unreliable power lay at the root of poverty, migration and young men joining militia groups. The planned alliance ropes in Poland, South Africa, Bangladesh and Australia and, with the United States and Latin America, could cover 60 percent of the world's population. Trump made the resurrection of the coal industry a key plank in his 2016 run for president. Since his inauguration a year ago, the global coal price has risen, unemployment in the United States is at a 17-year low, and the White House has signed off on billions for research on ways to burn fossil fuels with low emissions. The president has made hundreds of references to clean coal in his tweets and speeches and there is speculation that he may include it in his first State of the Union address due on Jan. 30. The European Union is divided. Britain and France are committed to reducing the use of fossil fuel, but the Netherlands is the world's largest importer of US coal, while Poland has increased consumption and, without it, Finland's winter heating would depend on a single gas pipeline from Russia. South Africa and Tanzania have been especially critical of the World Bank's ban on funding for projects using coal. Both countries are expanding their use of the fuel. Nigeria is one of only eight African countries to maintain an embassy in Jakarta and its finance minister, Kemi Adeosun, who will attend the Davos meeting, has spoken out. Adeosun said it was hypocritical for developed countries to criticize Africa when their own economies were built on generations of coal use. Like Indonesia, Nigeria has an electricity shortfall and Abuja has condemned the World Bank's new ban on projects using oil. India plans its largest-ever delegation, led by Prime Minister Narendra Modi, who will be among the first group of speakers before returning to Delhi to host Republic Day celebrations on Jan. 26. This year, instead of a single guest of honor, all 10 leaders from the Association of Southeast Asian Nations (Asean) will be at the Delhi event after which the group will hold informal discussions on, among other things, electricity and fossil fuel. Jakarta will be represented by President Joko "Jokowi" Widodo. Trump is expected to raise a raft of thorny issues, including immigration, his vision of America's dominant place in the world, and the threat of North Korea. This week he tweeted that America could rejoin the Paris accord, but only if the terms were changed. He has not budged from his stand on coal and power generation. For 50 years, John Owusu, originally from Ghana, has worked as an engineer in both Europe and Africa. Now retired, he believes electricity is set to become the issue of our time. "It's hard for those in developed countries to grasp how difficult life is without power," he says. "Not just lights or charging your phone, but no industry or development; no hope of a job. Try turning off your fridge for a day. Or imagine a hospital without the most basic equipment," he said. Owusu describes it as the new fault line in politics. "Cheap, reliable power is one of the most sensitive topics in the developing world and millions don't have it," he added. The problem, he says, could fracture meetings such as those in Davos, or summits hosted by the World Bank, even the United Nations. London-based consulting firm Wood MacKenzie, which specializes in energy, takes a similar view. 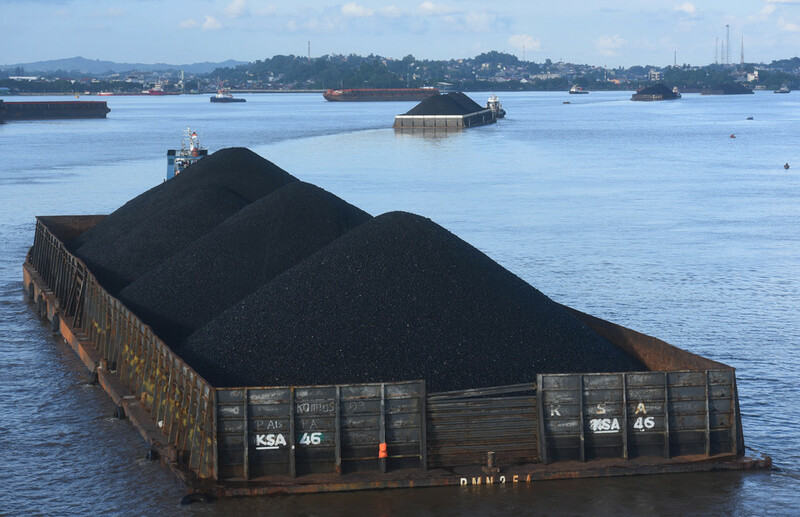 "Coal-fired power is facing strong headwinds globally, but it will dominate emerging markets in Asia in the next two decades," the company said in a statement earlier this month. "Affordable electricity remains a priority for governments in the region, and coal offers base-load supply at the lowest cost." Google the news from January last year and it is hard to find the words "clean," "coal" and "alliance" on the same page. A year later, as Davos approaches, India hosts the Asean leaders and White House aides work on President Trump's State of the Union speech, the phrase sounds more like a war cry. "After the US election, when it was just Trump and his cabinet talking coal, those who opposed his policies could write him off," said Owusu. "Now he has some of the world's biggest economies set to join his clean-coal alliance." The change, he says, is because politicians in Asia and Africa are listening to people on the ground. "The folk who run Davos or the IMF are not very good at that," he said. Judy Peters is a Paris-based freelance writer specializing in energy and development.